The first EP of the rising beast "MEGATHERION" from germany! Aethon & Magma of Eurynomos have joined legions with Ex-Cruel Force vocalist Carnivore (who's back in action again, finally!) and Summānus on drums!! Traditional Metal Mayhem in the vein of HELLHAMMER and Slayer with some punk-influences! 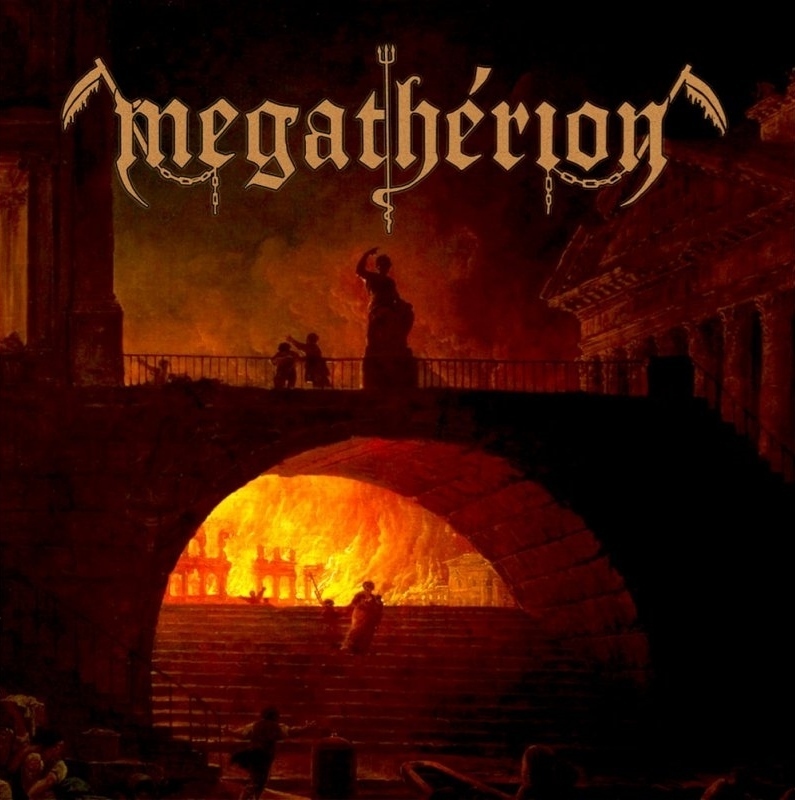 Going straight back to the essence of traditional Metal, Megatherion manifested itself as an important horde within the old-styled metal hordes, that march proud against the trends! ... and while everybody walks along with the fast-moving technologies and "new styles", Megatherion just walks the opposite path, straight back TO THE ROOTS OF EVIL METAL WITCHERY!!!!!!!! Official Vinyl-Version by IRON PEGASUS RECs., pressed on black waxxx incl. insert-sheet!! !